Leicester City are the fairytale story which has taken over the footballing world. But spare a thought for these minor characters, who are not guaranteed Premier League winners’ medals despite the Foxes securing their first-ever top flight crown on Monday. According to The Mirror, Marcin Wasilewski, Mark Schwarzer, Ben Chilwell, Liam Moore, Matty James and Ben Hamer are all members of the Leicester squad who could miss out. The league only awards winners’ medals to players who have made five or more appearances. It used to be 10 appearances, but they have become more generous over the years! 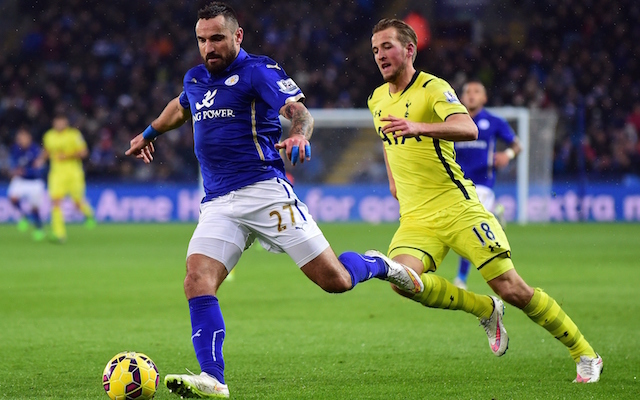 Of those six names, only Wasilewski has featured for Leicester in the league this season. The centre-back has played twice when either Robert Huth or Wes Morgan have been missing. Goalkeepers Schwarzer and Hamer have sat out while Kasper Schmeichel has played every minute of the campaign. Chilwell, Moore and James have only been in matchday squads. Andrej Kramaric, Yohan Benalouane and Joe Dodoo have all registered Premier League minutes for the Foxes this season, but not enough and have since left the club on loan. Schwarzer was in the same position last year with Chelsea, but then-manager Jose Mourinho paid for replica medals for the 43-year-old stopper and Lewis Baker, The Mirror reports. It remains to be seen whether Claudio Ranieri takes similar action, but, seeing as it is their team spirit which has taken Leicester to the title, it would be a shame for anyone to miss out.